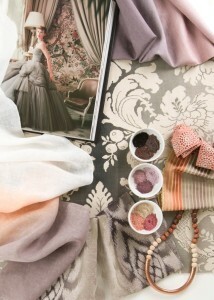 Starting in June, you can save 15% OFF at Judy’s Custom Workroom as part of our “Tell a Friend” Special. 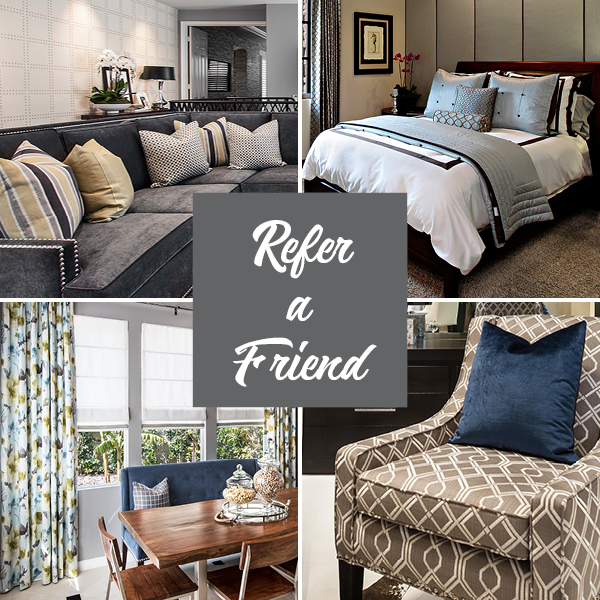 Simply have your friend mention you as their referral when they place their first order, receive 15% off your next order of custom bedding, home accessories, draperies or upholstery. Naturally, this is for first-time customers only and doesn’t include any standing orders. To learn more contact us at 949.360.0780. True fact: Nothing beats classic lines. 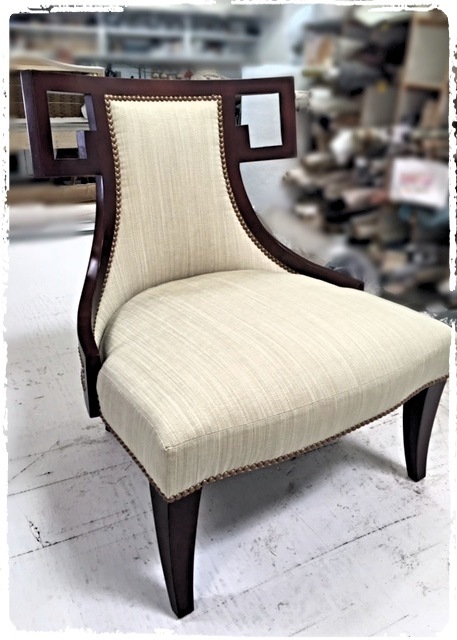 Case in point: this elegant slipper chair that recently left Judy’s Custom Workroom upholstered in pale green and accented with burnished nail heads. While we were sad to see it go, we know it is going to be well loved! 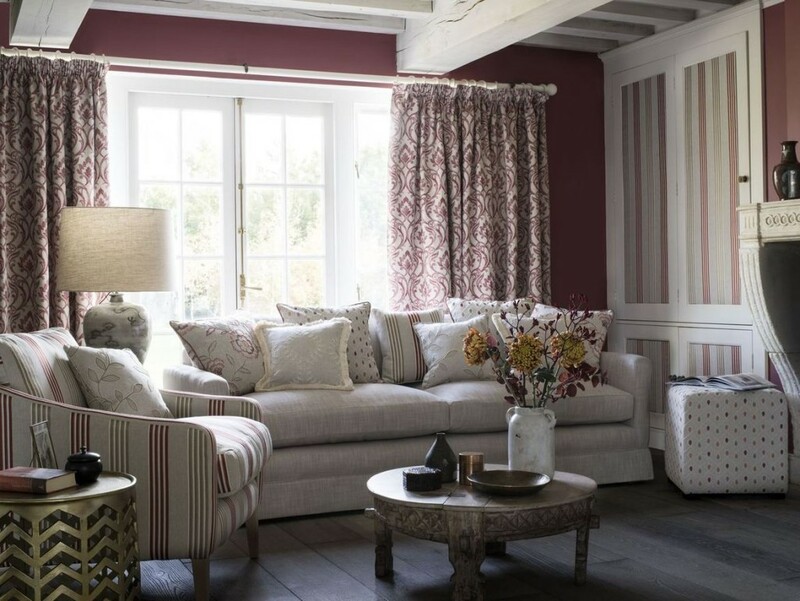 Delightful florals are teamed with smart stripes and pretty leaf trails in Clarke & Clarke’s Richmond Collection of coordinated embroideries and weaves in a modern country style. 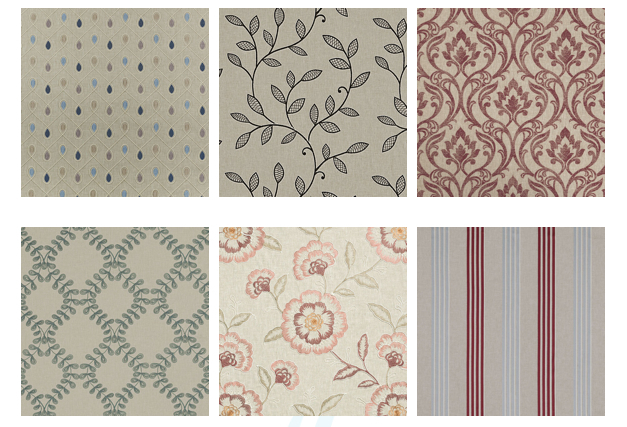 With a nod to our neighbors to the East, these line is the perfect way to bring shabby and chic to your window treatments, accent pillows or custom upholstery! People are loving this lovely creme colored custom sofa we did for a client. 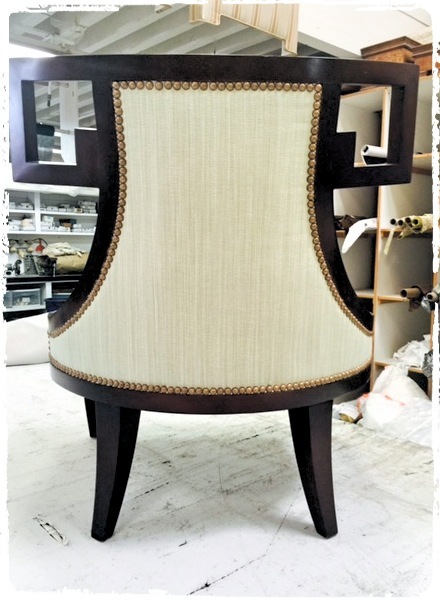 With its’ classic lines and traditional silhouette, updating the upholstery and adding some colorful custom pillows puts this right on trend with today’s “Traditional Transitional” movement!